Can you imagine being in a place so beautiful, you never want to leave. The walk around Lotus Lake is one of those places. 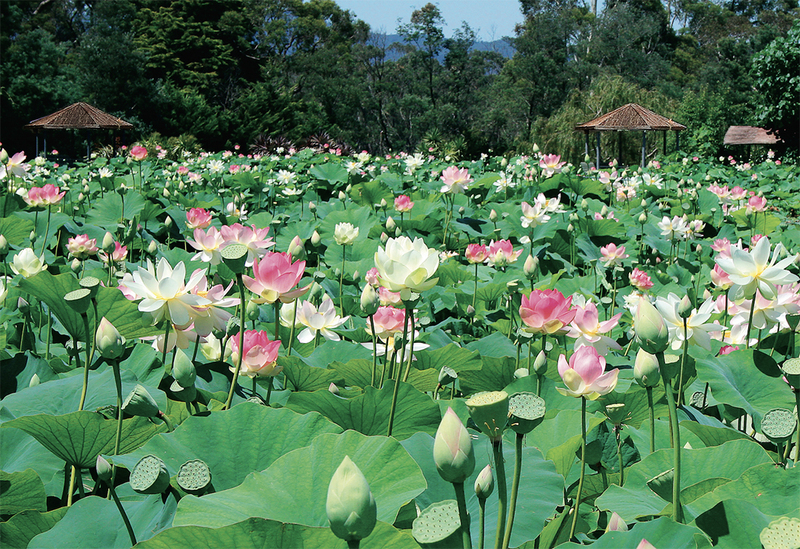 The lake produces the largest display of lotus flowers in the garden with over 10,000 blooms on display. 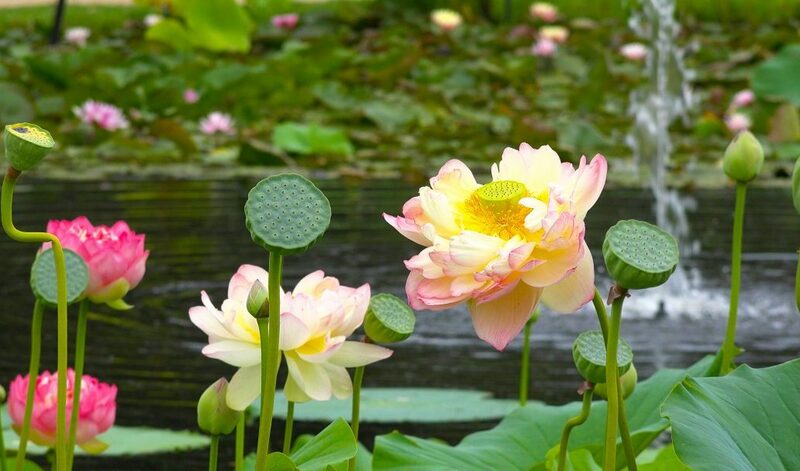 The featured flowers are Carolina Queen Lotus (pink) and Cream Lutea Lotus (white) with blossoms as large as a dinner plate. The flowers grow around the entire 500m circumference of the lake, creating an intoxicating visual experience. The gardens edging the sandy pathway have all been carefully created and planted with exotic flowering plants, adding to the wonderful vistas. Featured flowering plants include a range of salvias, impatiens, succulents, cordylines, begonias, canna lilies, crepe myrtles and pergoda vines. A banana palms and cocos palms provide shade as you wander, along with numerous reed covered rotundas offering great vantage points to take in the serenity.